Solomon Islands Electricity Authority T/A Solomon Power aims to provide a safe, reliable, affordable and accessible supply of electricity to the Solomon Islands. Our vision is about energising our Nation. We are working with our stakeholders towards Nation building through increasing the footprint of the electricity network and making electricity accessible and affordable to more people in the Solomon Islands. Transformer and the 33/11kV Network Protection. locations, and to improve affordability. main generation plant for Honiara is located at Lungga, about 8km from the Honiara CBD. A 1.0MW grid connect Solar Farm, south of the Henderson International Airport. A 50kW grid connect solar at the Ranadi Head Office car park. 33/11kV substations at Lungga, Honiara, Ranadi, Honiara East, White River and East Kola’a Ridge. numbers from 19,500 to 30,000 by December 2021.
energy annually into the Honiara grid. existing power system data in DiGSilent. transformers and both the HV and LV network protections in Honiara and at the Outstations. system model in the existing software. purpose for carrying out load flow, short circuit and transient stability analysis. and differential protection schemes and generator protection schemes. the protection systems for the generation and transmission/distribution systems. restricted earth fault, distance & differential and the generators protection schemes. also conduct lectures in the process. demonstration are to be conducted. the end of the training sessions. and in particular the level of achievements by participants. The table below sets out the main deliverables with expected duration. circuit and transient stability analysis. at the end of the training sessions. stability analysis for power systems of various sizes. and Generator/ Transformer and the 33/11kV Network Protections. Solomon Islands Electricity Authority (SIEA) trading as Solomon Power hereby invites suitably qualified firms or individuals to bid for the Consultancy Services for data validation, load flow, short circuit and transient stability analysis and training on these and the generator/transformer and the 33/11kV network protection schemes. Details of the objectives, scoped of work and schedules of delivery are contained in the Terms of Reference (TOR) which can be obtained upon request by email to: Martin.Sam@solomonpower.com.sb or can be collected at our Head Office at Ranadi in Honiara, Solomon Islands. Bid Submissions will close at 12.00 pm (Honiara Time) on 7th May 2019. Submissions received after the above time and date will not be considered. 1. 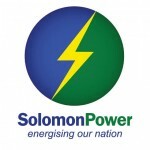 Solomon Power (“the Employer”) invites sealed bids from eligible Bidders for the Procurement of Services for East Honiara Green Village Development, Data Centre and Control Room – Detailed Design, in Honiara, Guadalcanal, Solomon Islands. 2. A competitive bidding will be conducted in accordance with Solomon power Single Stage, Single Envelope bidding procedure as described in the Bidding Document. 4. To acquire the Bidding Documents in English, eligible Bidders can write to the address above requesting the Bidding Documents for - “Procurement of Services for East Honiara Green Village Development, Data Centre and Control Room– Detailed Design”. The Invitation for Bids (IFB) is available at the website of Solomon Power, but the complete bidding documents will be provided by Solomon Power. On written request Solomon Power will provide the link to the Drop Box from where the bidding documents can be loaded. 5. A pre-Bid meeting is scheduled at Solomon Power’s Boardroom located at the Head office in Ranadi, Honiara, on Friday 12th April 2019, starting at 9.30am. Visits to subject sites will be undertaken thereafter. 6. Deliver your bid in hard copies to the address above on or before the deadline: 23rd April 2019, 12 PM together with the required documents as described in the Bidding Document. 7. Bids will be opened immediately after the deadline for bid submission in the presence of Bidders’ representatives who choose to attend. 1. The Ministry of Finance & Treasury has received financing from the World Bank toward the cost of the Electricity Access and Renewable Energy Expansion Project, and intends to apply part of the proceeds toward payments under the Contract for Design, Supply, installation and commissioning of a Solar Power Plant (SP Roof). For this contract, the Borrower shall process the payments using the Direct Payment disbursement method, as defined in the World Bank's Disbursement Guidelines for Investment Project Financing, and the "Additional Instructions: Disbursement" for this project, except for those payments which the contract provides to be made through letter of credit. 2. The Solomon Islands Electricity Authority (Solomon Power) now invites sealed Bids from eligible Bidders for the Design, Supply, installation and commissioning of a Solar Power Plant (SP Roof), at the head office in Ranadi, Guadalcanal, Solomon Islands. The turnkey process up to the plant operational acceptance will be six (6) months. The solar power plant will be grid connected inverter based generation, connected in to the existing switchboard of the head office. The successful Bidder will thereafter be required to provide operation and maintenance support to Solomon Power for a period of 12 months. Only eligible Bidders with key qualifications given below should participate in this bidding process. • net worth in the last financial year should be positive. • minimum average annual turnover of US$1,000,000.00 within the last 3 years. • Cash flow requirements of US$200,000.00. • participation as contractor, joint venture member, management contractor, or subcontractor, in at least two (2) similar contracts within the last three (3) years, with a combined value of at least Five Hundred Thousand US Dollars (US$0.5M), that have been successfully and substantially completed. 3. Bidding will be conducted through international competitive procurement using a Request for Bids (RFB) as specified in the World Bank’s “Procurement Regulations for IPF Borrowers” July 2016, Revised November 2017 and August 2018 (“Procurement Regulations”), and is open to all eligible Bidders as defined in the Procurement Regulations. 4. Interested eligible Bidders may obtain further information from Solomon Power, General Manager Capital Works at CW.Procurement@solomonpower.com.sb and inspect the bidding documents during office hours 0900 to 1600 hours at the address given below. 5. The bidding documents in English language may be obtained by interested eligible Bidders upon the submission of a written application to the address below. The interested bidder will then be provided with a link to the Drop Box from where the bidding documents can be downloaded. The Invitation for Bids (IFB) is available at the website of Solomon Power and Pacific Power Association. 6. Bids must be delivered to the address below on or before 10.00am (Honiara time) on 03 May 2019. Electronic bidding will not be permitted. Late Bids will be rejected. Bids will be publicly opened in the presence of the Bidders’ designated representatives and anyone who chooses to attend at the address below at 10.15am (Honiara time) on 03 May 2019. 7. All Bids must be accompanied by a Bid-Securing Declaration. 8. Attention is drawn to the Procurement Regulations requiring the Borrower to disclose information on the successful bidder’s beneficial ownership, as part of the Contract Award Notice, using the Beneficial Ownership Disclosure Form as included in the bidding document. 1. The Ministry of Finance & Treasury has received financing from the World Bank toward the cost of the Electricity Access and Renewable Energy Expansion Project, and intends to apply part of the proceeds toward payments under the Contract for Design, Supply, installation and commissioning of a Solar Power Plant (Henderson Site). For this contract, the Borrower shall process the payments using the Direct Payment disbursement method, as defined in the World Bank's Disbursement Guidelines for Investment Project Financing, and the "Additional Instructions: Disbursement" for this project, except for those payments which the contract provides to be made through letter of credit. 2. The Solomon Islands Electricity Authority (Solomon Power) now invites sealed Bids from eligible Bidders for the design, Supply, installation and commissioning of the Henderson solar power plant expansion, Guadalcanal, Solomon Islands. The turnkey process up to the plant operational acceptance will be one year. Solomon Power currently has an existing 1MW Solar Farm at this site and intends to expand it by an additional 2MW. The additional generation capacity shall be grid connected inverter based generation, connected in to the spare circuit breakers at the existing connection transformer. The successful Bidder will thereafter be required to provide operation and maintenance support to Solomon Power for a period of 24 months. Only eligible Bidders with key qualifications given below should participate in this bidding process. • Minimum average annual turnover of US$3,000,000.00 within the last 5 years. • Cash flow requirements of US$400,000.00. • Participation as contractor, joint venture member, management contractor, or subcontractor, in at least two (2) similar contracts within the last three (3) years, each with a value of at least One Million, Five Hundred Thousand US Dollars (US$1.5M), that have been successfully and substantially completed. 4. Interested eligible Bidders may obtain further information from Solomon Power, General Manager Capital Works of CW.Procurement@solomonpower.com.sb and inspect the bidding document during office hours 0900 to 1600 hours at the address given below. 6. Bids must be delivered to the address below on or before 14.00pm on 03 May 2019. Electronic bidding will not be permitted. Late Bids will be rejected. Bids will be publicly opened in the presence of the Bidders’ designated representatives and anyone who chooses to attend at the address below at 14.15pm on 03 May 2019.